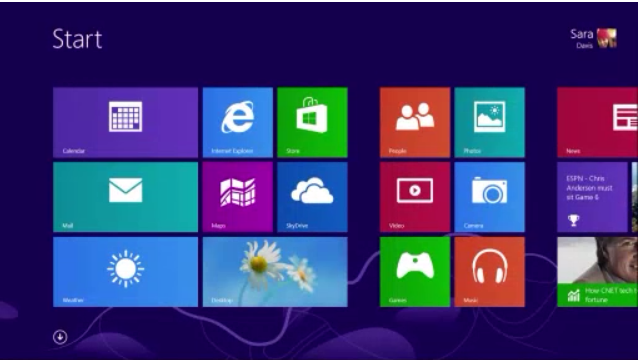 In the keynote presentation of TechEd North America 2013 a new Group Policy setting was demonstrated that showed how you can now configure the layout of the Windows 8.1 Start Screen. For your convenience I have summarised the list of steps shown in the demo so you can configure this option for yourself… when the beta is release…. on June 26th. Step 1. So logon as another user and configure your computer Start Screen layout the way you want. Step 2. 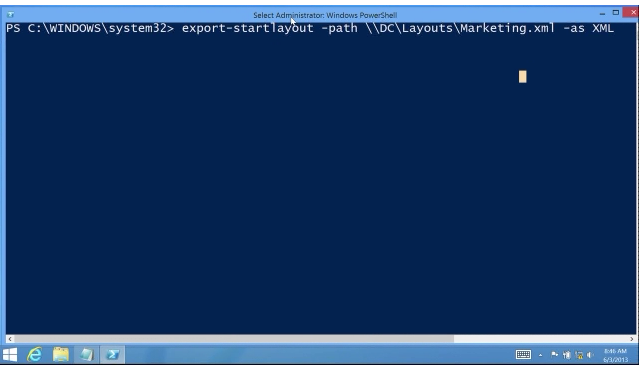 Export the Start Screen Layout using the “export-startlayout” PowerShell command. Side Note: See the new Start Button Tip in the bottom left hand corner. Step 3. 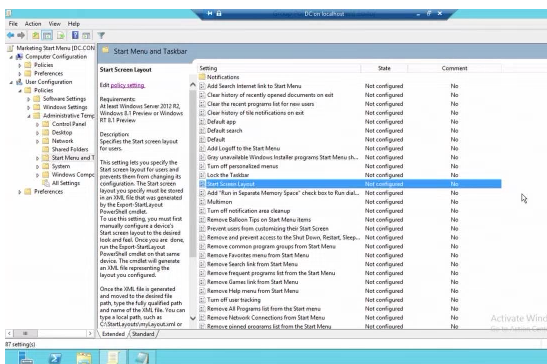 Open the User Configuration > Policies > Administrative Templates > Start Menu and Taskbar and edit the “Start Screen Layout” policy setting. Step 4. Enable the policy setting and type in the path to the XML configuration file you created before. 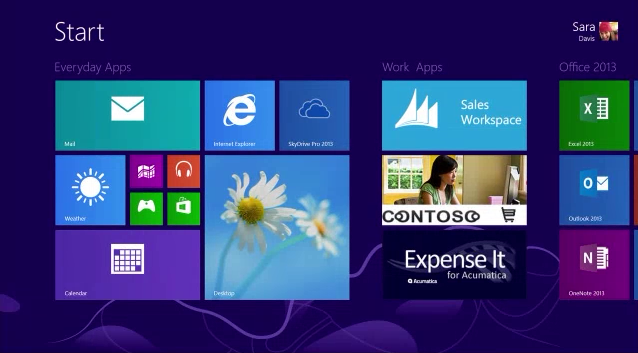 Now the users start screen will be configured as per the XML configuration file next time they logon to the computer. This works fine when you create a new user, it picks up the settings from the xml file and shows the tiles the way you specified. However, if you make any changes to this file, only new users (or a new local profile) will pick up the settings. Is there a way to get the client/profile to check this file at every logon and therefore update any changes? If not then this feature is nothing new as you could do this by putting the appsfolder.itemdata-ms file into the default user profile on server 2012. Will this prevent users to add tiles? so does this not work with windows 8 pro? thanks for the quick reply…any idea what the best option would be for doing something like this on windows pro? I pinned some internet explorer pages to my start menu, but these pages have not appeared when I deploy it to other devices. Does this not work for pinned webpages?? Never mind- figured it out. You also need to copy the files from the following directory on the original computer to all computers getting the policy. It does not work on our Surface RT with Windows 8.1 RT. 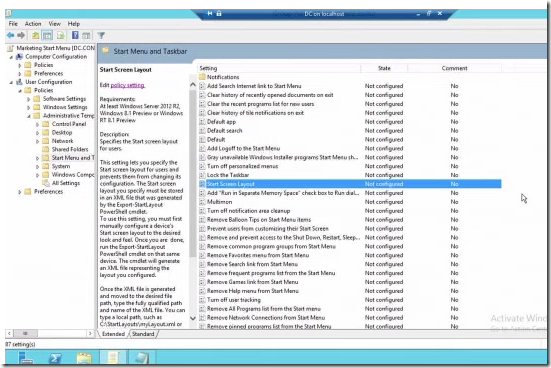 I switched on the group policies Service, created the XML-file with startlayout and changed the policies. I know that the policies worked becaus I could not Change the layout in the startscreen, but the layout itself was not used. I checked if there some problems with the rights for accessing the file. I checked the registry and found the right informationabout the source of startlayout-xml. I checked the Event protocol. No Information. What do I miss? Can anybody check this on surface rt and tell me how I can get this to work. I work with German Windows RT. 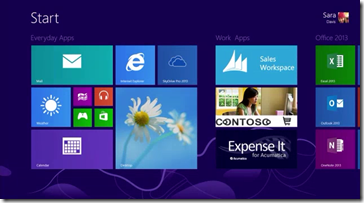 It will not work because it is not the “Enterprise” version of Windows…. 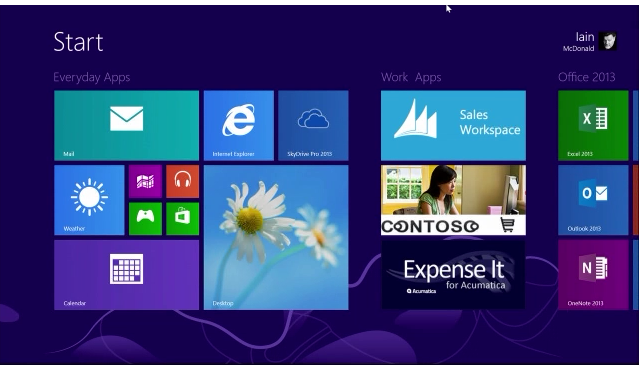 Only work with Windows 8 “Enterprise” edition.. Interesting. If I look in the Group policy editor I see: supported on Windows RT 8.1. If I activate the policy start Screen layout than I can’t change the layout of the startscreen on my Surface. So If Alan is right, it means MS left us on the half way. 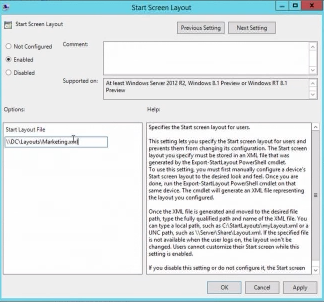 Prevent changing works, but support of preconfigured layout of startscreen does not work. Very strange…. 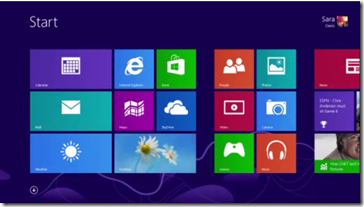 The user is no longer able to modify the start screen after this GPO has been rolled out. Any way to change this?